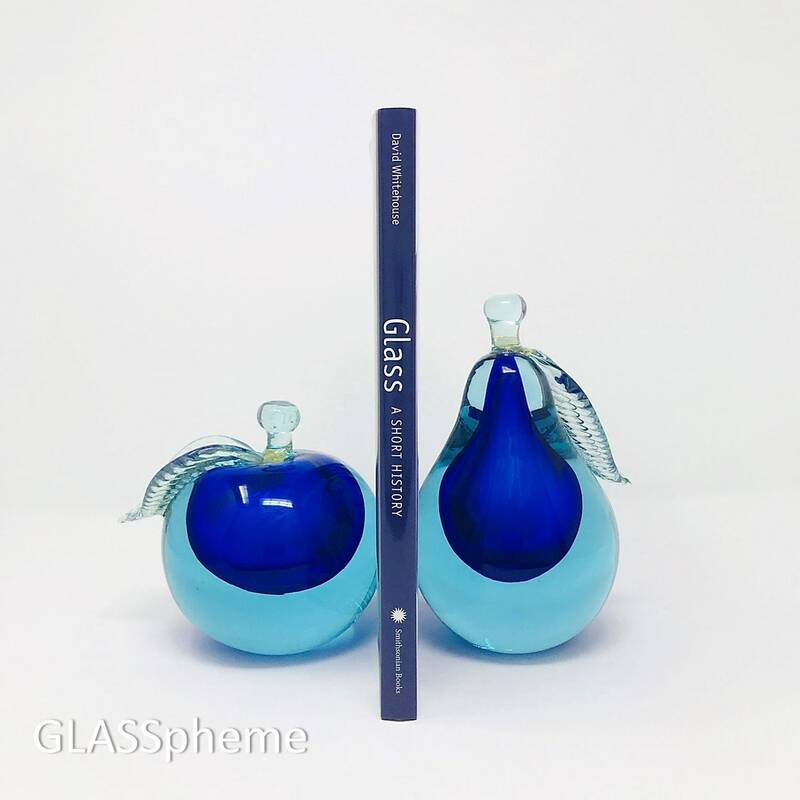 Feast your eyes on these gorgeous SUPERSIZED Alfredo Barbini apple & pear sommerso | encased |submerged glass bookends (or sculptures). The last photo compares the size of the pieces in this set to the 'regular' sized orange bullicante pieces. Both these amazingly gorgeous pieces are in perfect condition (save some base wear). 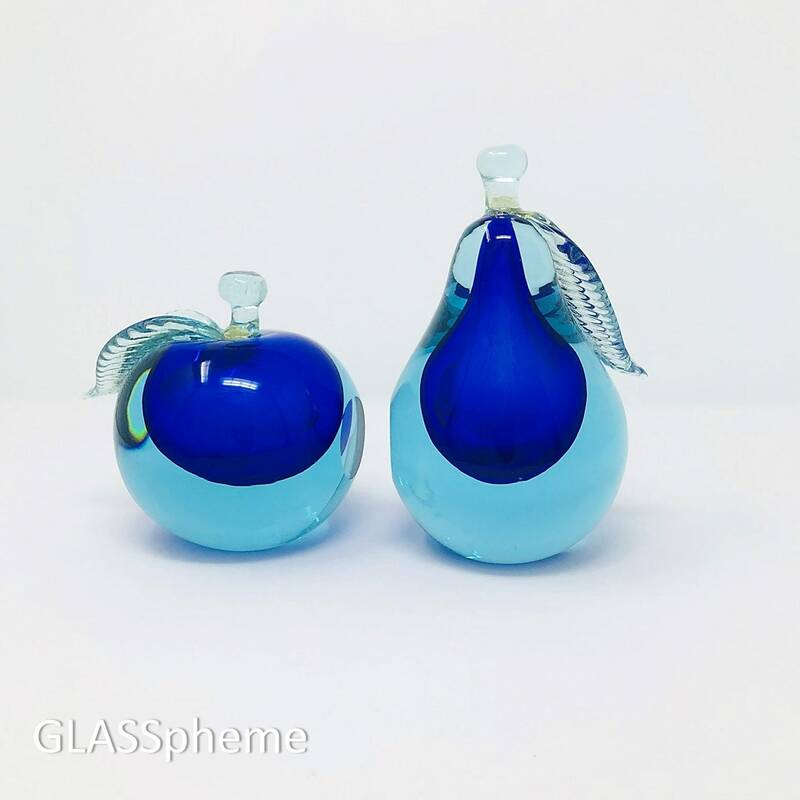 These well-documented mid-century Murano Alfredo Barbini sommerso glass apple and pear bookends are the perfect excuse to display more glass when you just gotta cede some shelf space for books! Each heavy substantial piece of fruit has two flat surfaces--one to stand, and one to rest books against. 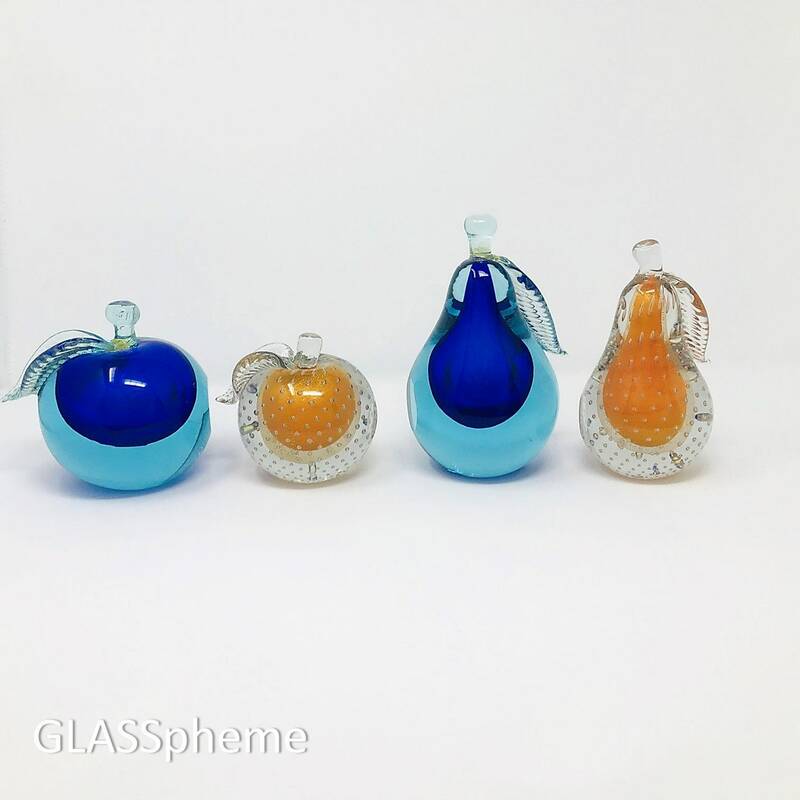 Barbini produced these for Weil Ceramics & Glass.